A food blog filled with awesome recipes, drinks, posts & more! Because Life Is Delicious! 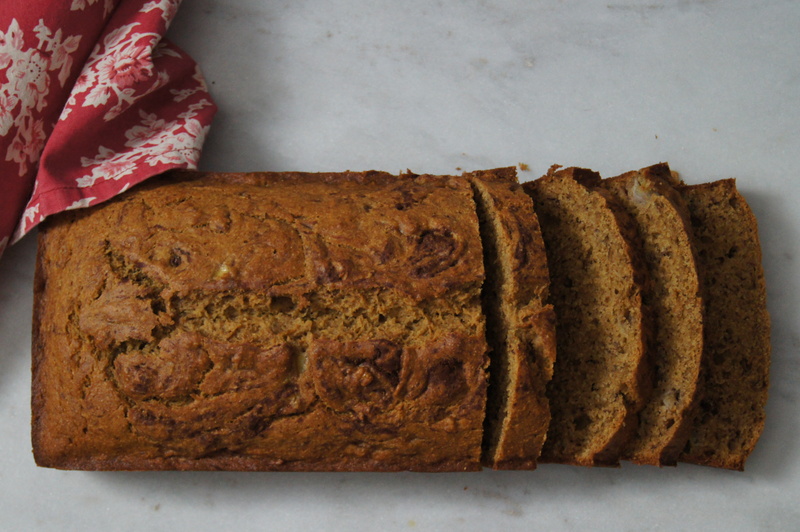 The first time I made banana bread I was about 11 years old. It tasted really good and I didn’t think it was that hard to make. Then again, it was a box mix, so I didn’t really need to be a member of MENSA to make it. That, and why boys always wanted to be “just friends”, were the two burning questions of my childhood. 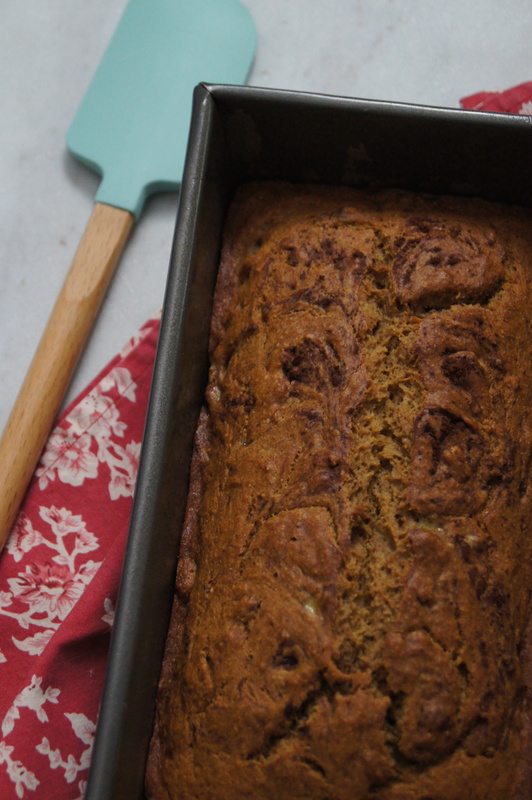 Years later, I’ve figured out the boys thing (I think) and definitely the banana bread thing. After I got married, I made my very first homemade, from scratch, banana bread. It was my mother-in-law’s recipe that my husband grew up on. If I remember correctly (i.e. I’m too lazy to get up and go to the other room where the recipe is), you have to add 1 cup of bran cereal to the mix. Honestly, I thought it was a little weird, but it tasted good and it sounded healthy too. I experimented with other recipes and for the past few years I stuck with one that I used to make on a weekly basis. It was great for breakfast or a snack. I would usually make it on Sundays with my son, Will, who loves to cook and bake. But I would always feel a little guilty when I added a cup of white, all-purpose flour and especially guilty when I added a full cup of sugar. So I tried a paleo version, made with almond flour, maple syrup, and a whole slew of eggs. So in the meantime, I stuck with the gallon of sugar recipe. I can happily say that it worked out great! 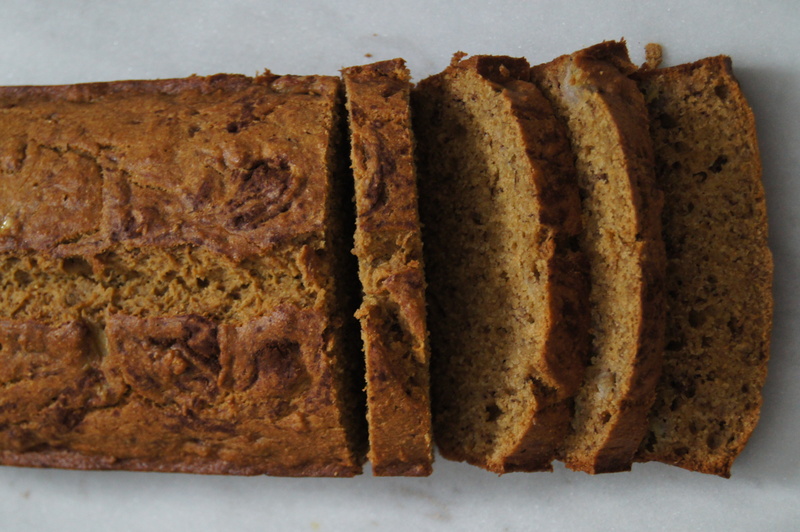 The banana bread was flavorful and wasn’t dry. It tasted close enough to my favorite recipe, but most importantly it was healthier. One of these days I’ll try it with almond flour and let you know how it turns out. And obviously still has the same sense of humor as the 11-year old that opened that banana bread box mix. Preheat oven to 325 degrees Fahrenheit (165 degrees Celsius) and grease a 9×5-inch loaf pan. In a large bowl, beat the oil and honey together together with a whisk. Add the eggs and beat well, then whisk in the mashed bananas and milk. Add the baking soda, vanilla, salt, and cinnamon, and whisk to blend. Switch to a wooden spoon and fold in the flour, just until combined. Some lumps are fine. If you're adding any additional mix-ins, gently fold them in now. 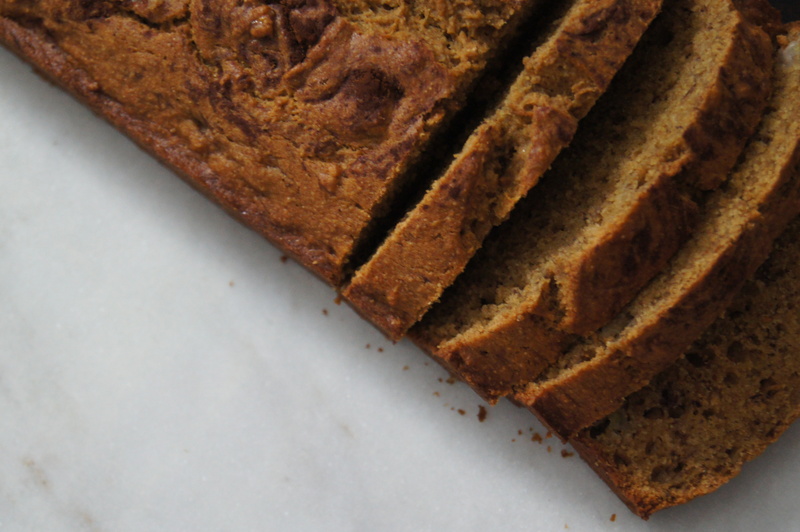 Pour the batter into your greased loaf pan and sprinkle lightly with cinnamon. If you'd like a pretty swirled effect, run the tip of a knife across the batter in a zig-zag pattern. Bake for 50 to 55 minutes, or until a toothpick inserted into the center comes out clean. Let the bread cool in the loaf pan for 10 minutes, then transfer it to a wire rack to cool for 20 minutes before slicing. CHECK OUT THESE OTHER GREAT RECIPES & POSTS! Get The Tasty Page Newsletter!